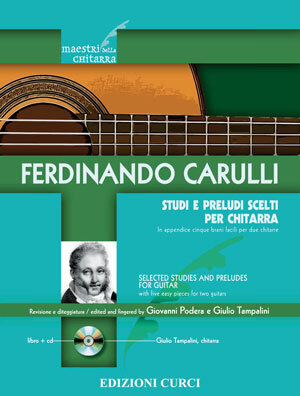 Ferdinando Carulli's catalog includes more than 400 works, many of which are still considered fundamental to the training of a guitarist. The Preludes are taken from the collection op. 114, while the other pieces from from the third edition of Metodo op. 27, the subsequent Metodo op. 241, and the collected works 121, 211, and 333. This is a nice collection, presented in order of increasing difficulty, with CD for reference and listening pleasure.